Thus it was, that in the years and decades to come, the renaissance and rebirth of the province of Nawanagar was restored bountifully. 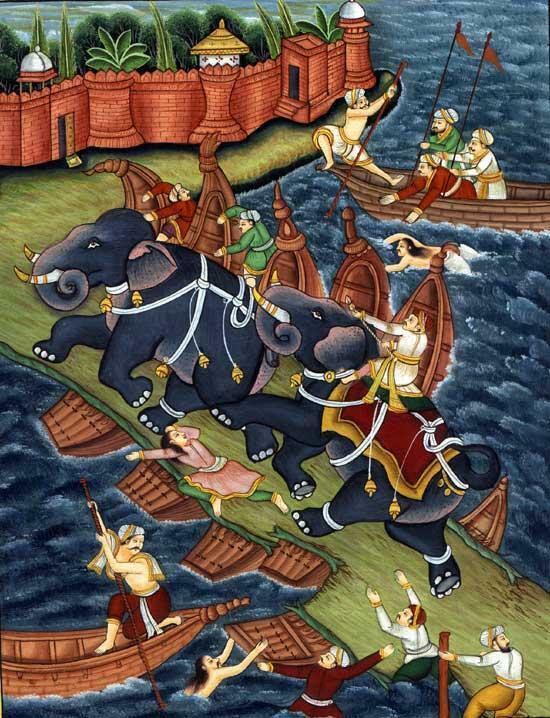 As the fortunes from the ivory hoards of the Sacred Forest were sold for money, as this money filled the treasury, there was the ability to pay for and to reinstate the guilds and craftsmanship of a newfound form of the Ranjit Renaissance, which now became known as the ‘Raj Renaissance’ after Prince Raj, the new ruler of Nawanagar. There were textile weavers and fabric dyers, calligraphers and bookbinders, painters and sculptors, stone masons and marble masons, musicians and singers, fresco painters and mural artists, ceramic artisans and woodworkers and cabinet makers. The young prince Raj made free of all charge, the artisan education of his constituents throughout the twelve villages of Nawanagar. Within a decade of this initiative, the artisans were producing highly skilled products and services for which neighboring provinces paid handsomely. The potters and painters of Nawanagar were sought after for hundreds of miles and the revenues from the export of their works as well as the commissions from neighboring states for stone masonry and cabinet making and fresco painting flowed abundantly and generously into the treasury of Nawanagar. The benevolent young prince Raj, who was so beloved by the population of Nawanagar, and who sought advice and council from the Elder Ranjit, his mentor, and the Elder Randhava, his father, reinvested the entire revenue flow back into the villages, reconstructing natural irrigation systems that would stimulate the agricultural harvest, digging wells, building barns and storehouses as well as schools for the rural children who were the offspring of the resident families of Nawanagar. During the harvest time, the musicians and singers of Nawanagar were fully engaged in festivals that would enjoin the villagers in the celebrations and rituals of gratitude for the abundance of wheat and grain that flowed into their barns and storehouses. Nawanagar became a thriving and a self-sustaining economic miracle inspired by the vision of the Renaissance Raj, the People’s Prince. 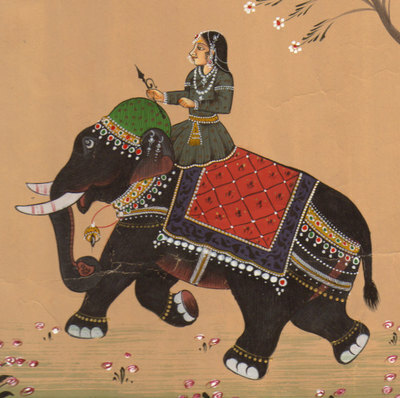 Lakaji the Elephant Elder had gifted his own tusks, one to Elder Ranjit and one to Elder Randhava, which both elders kept each in their own living quarters in the maharaja’s palace in Nawanagar. 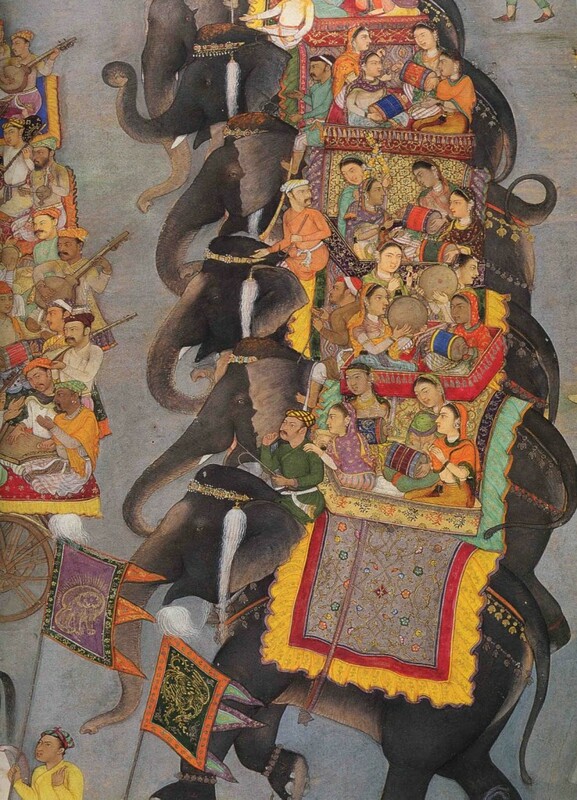 In celebration of Day Seven of the Great Trek, when the news was received by the villagers of Nawanagar that the elephant clan need no longer be killed for ivory, because Lakaji the Elephant Elder had revealed and gifted the treasure of the elephant’s graveyard in the Sacred Forest, there was a large festival of color, and all of the elephant clan were pasted with bright colors and patterns of henna and festooned with garlands of marigolds and the young boys marched with the elephant clan, laughing and singing and pretending that they were reenacting the legend of the Great Trek of young Raj and Lakaji the Elephant Elder. As Maharaja Ranjit the Elder observed the Day Seven celebrations, his heart filled with gratitude and his soul sang with a quiet and grateful joy. I know, Maharaja Ranjit, that your parched and longsuffering soul has experienced a long and dry drought. Yet the seasons and the karma transform and change and dance new steps and rhythms, like the dance of Lord Shiva. From this point onward, Maharaja Ranjit, thy parched soul shall no longer suffer a dry drought. Thy soul shall be refreshed and renewed. Thy soul shall be as a watered garden.